Bill Barquin began his tenure with Radio Campesina as an account executive and then transitioned to a sales manager for the network’s highly-successful KNAI Phoenix station. In 2009, he became the radio network’s COO. He previously served as a senior events coordinator at Arvizu Advertising. 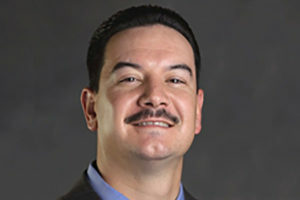 Barquin’s commitment to the social and economic well-being of the Latino community is evident not only through his work at Radio Campesina, but through his work both with the City of Phoenix’s Estrella Village Planning Committee as well as chairman of the Arizona Hispanic Chamber of Commerce. He served on the board of managers of the Maryville YMCA and was a board member for the Arizona Children’s Association. He has been recognized by the Phoenix Business Journal as a 40 under 40 Leader in Arizona, as well as a recipient of the Univision Communications “40 Under 40 Hispanic Leaders in Arizona” and Cox Communication’s Hispanic Leader of Arizona. Barquin earned a Bachelor’s degree in Psychology and Master’s degree in Business Administration from Grand Canyon University.